Klip Gallery: Yahoo Finance – How can we help you today? Yahoo Finance provides financial news, data and commentary including stock quotes, press releases, financial reports, and original programming. It also offers some online tools for personal finance management. Choose any stock and monitor key information, such as the 30 day trend, volume traded and 50 day average. See where your top five Canada Indices stand by tracking them on your dashboard. From NASDAQ Industrial to Crude Oil, choose three US indices to monitor on your Klip. Choose three Asia Indices to monitor on your Klip. Choose a Yahoo Finance Klip from the list and select Add to Dashboard. 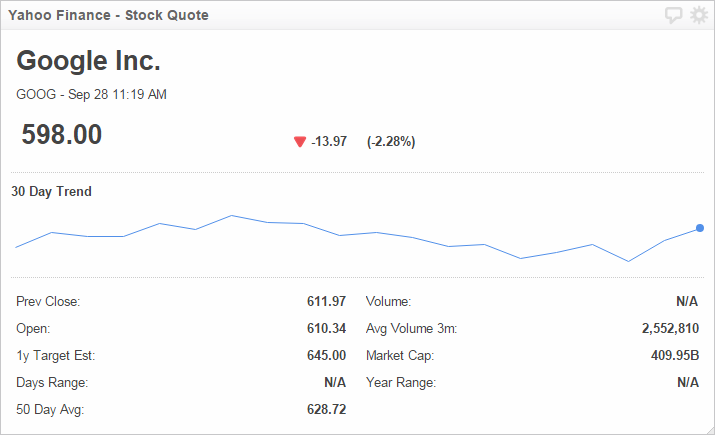 For the Klip Stock Quote, you are asked for a Stock Symbol. 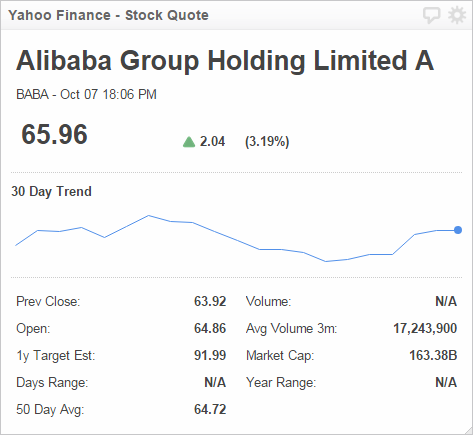 To find your Stock Symbol, navigate to Yahoo Finance. 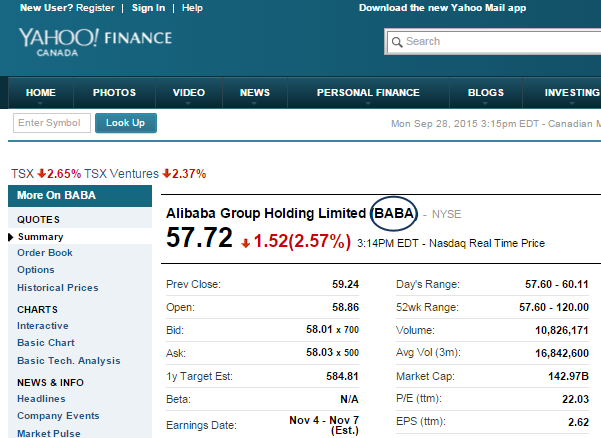 Search for the company you are interested in, for example, Alibaba. You can find the Stock Symbol beside the company name. Copy and paste the Stock Symbol into Klipfolio.